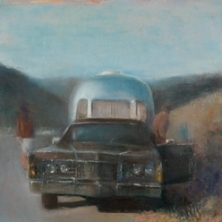 Trevor Young is a quintessentially American painter. 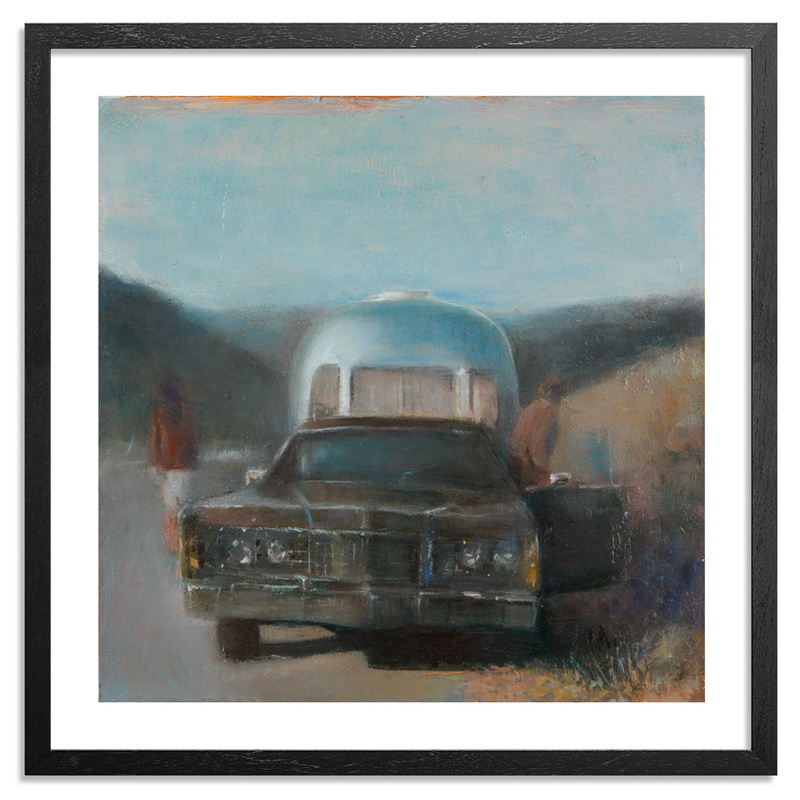 He makes no bones about his affection for the trappings of car culture, life on the road, and 1960s West Coast art. His main subject is modernism’s footprint on the outposts of Americana—places typified by harsh artificial light and hard shadows on concrete. The show makes clear that for Young, despite the contemporary art world’s preferences for irony, disjunction, and tongue-in-cheek intellectual gamesmanship, painting is at its best when it attempts to offer an unpretentious accounting of where and how we live our day-to-day lives. The celebrations of urban sprawl offered by artists like Ed Ruscha—who famously took no-nonsense aerial photographs of thirty four LA parking lots in 1967, and created sleek, stripped down paintings of Standard Oil stations—are an obvious point of reference in Young’s work. 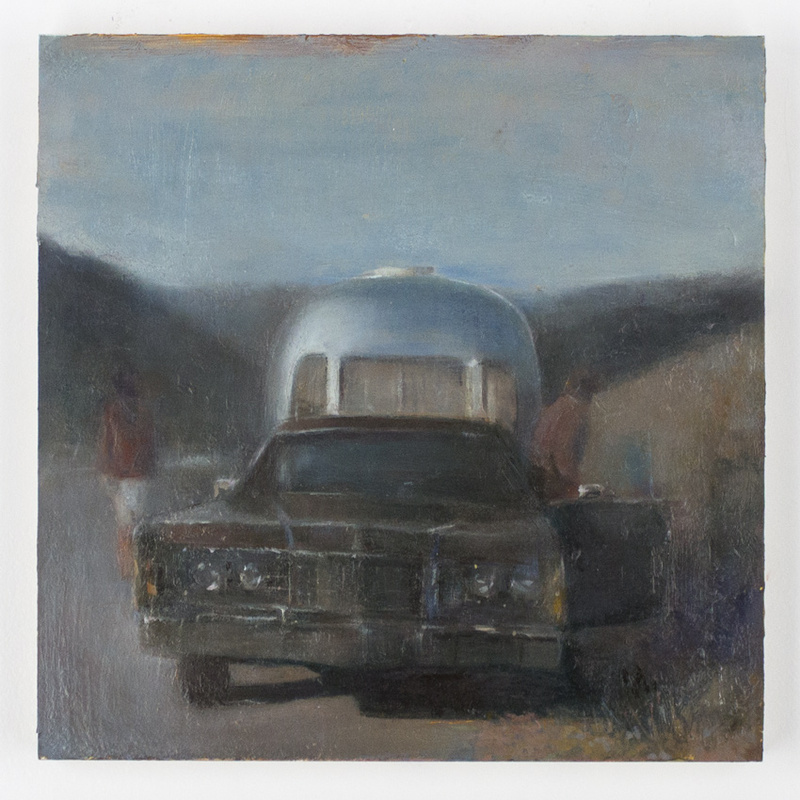 But Young’s choices seem more personal than Ruscha’s, and his technique is certainly more painterly: His images of gas stations are uneasy amalgamations, cobbled together from his own memories of road trips, photographs, and pure invention, and rendered with a sense of atmosphere and drama seemingly at odds with his use of hard lines and simple geometric shapes.